For questions related to what or whether you like/dislike a specific activity or food or anything for that matter, we could use a phrase that wouldn’t be cliched like ‘I like travelling’ or “I love swimming”, etc. I found the story line very appealing. I am fond of learning new languages. I am not very fond of beaches unlike most people. Get a lot of pleasure out of/doing something: I get a lot of pleasure taking my dog for a walk because it’s a stress buster. To grow fond of (started/starting to like) : I grew fond of the old teacher. Whenever you are required to ask for a clarification or want the examiner to rephrase something for you, here are some add ons to your vocabulary that can come in handy. Sorry,I didn’t quite catch that. Could you please repeat the same? Do you mind rephrasing the statement/question? Note : Ideally these can be only used in Part 3 of the test. To put it another way : To put it another way, I believe that India could be a superpower within the next decade. What I am trying to say : What I am trying to say is, at the current rate the world would have a huge drinking water crisis. What I am mean is : What I mean is, in near future, we can expect India in Football World cup. Imply : What I am implying is that we need to focus more on women empowerment. Fillers are basically phrases used to buy you extra time, in case you need more time to answer or you’re not very sure of what to answer. Note: The above options can be mixed and matched according to appropriateness but over usage will lead to repetition and loss of marks. I would like to think of it in another way. I’m afraid i can’t agree with you on that. That’s an interesting perspective but I think.. I beg to differ with.. Linking words are words that are used to add more information, substantiate ones idea, help in connecting ideas and concepts, to compare and contrast etc. While you practice make sure you use these, do that you inculcate these phrases and words in your vocabulary so that it comes naturally. 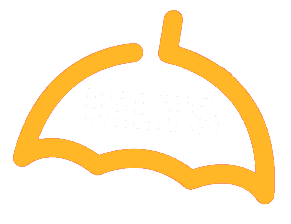 It will result in a better IELTS band score in Speaking Test. Very helpful for writing and speaking as well.